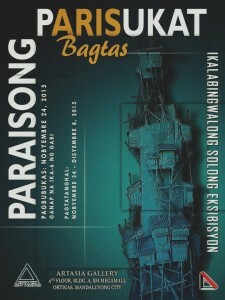 We are inviting everyone to 18th One Man Show of the artist Aris Bagtas entitled PARAISONG PARISUKAT on November 24, 2015 at about 6:00pm at the ArtAsia Gallery, http://www.artasiaphilippines.com, 4th Floor, Bldg. A, SM Megamall, Ortigas, Mandaluyong City, Philippines. 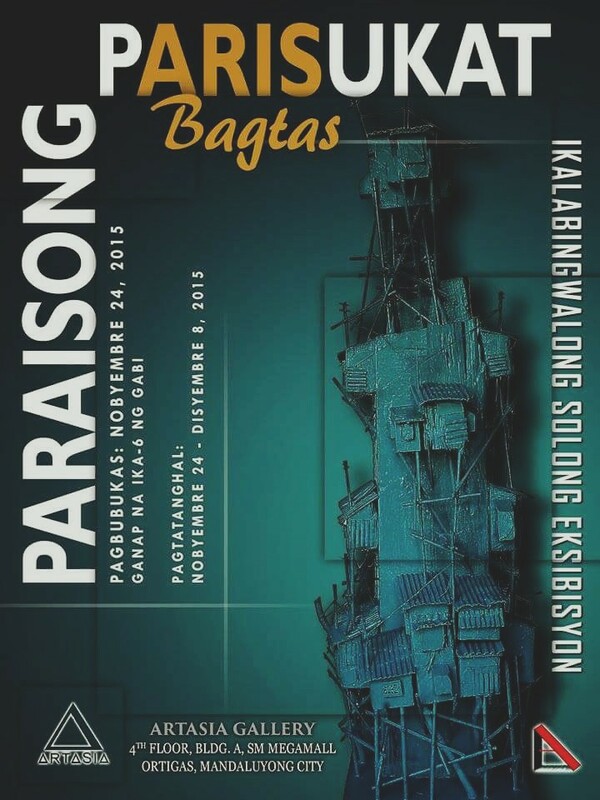 The Exhibit runs from November 24, 2015 until December 8, 2015. Aris Bagtas will showcase the a rare collection of Sculptures and paintings, ranging from Acrylic, Mixed Media and much more. Please visit the exhibit and we assure you that you will be amazed with the collection. Aris Bagtas is also featured in our site http://www.macuha-artgallery.com/blog/aris-bagtas-profile/ and our personal collection of his artworks at http://www.macuha-artgallery.com/blog/aris-bagtas-collection/.